Chloe Moretz is the face of Coach's new fragrance! | HELLO! Chloe Moretz is the face of Coach's new fragrance! She's a Hollywood actress who's dating an actual Beckham, and now Chloe Moretz can officially add fashion model to her CV. The 19-year-old has confirmed she's fronting the campaign for Coach's new fragrance – and she looks incredible in the preview! Chloe took to Instagram to share her exciting news, sharing two BTS snaps of the perfume photo shoot. She wrote: "Soo happy to announce that I'm the face of Coach's new fragrance!!! #CoachTheFragrance #ComingThisFall." In the first picture, Bad Neighbours 2 star Chloe can be seen leaning out of the window of a vintage-looking car, before putting her feet up in the back seat for the second shot. She's modelled the brand's bags in the past, and Chloe insisted that the new fragrance sums Coach up perfectly. She said: "To me this perfume is everything I love about Coach. It's modern and happy. It perfectly captures the spirit, energy and excitement that Stuart [Vevers] has brought to Coach." Away from the cameras Chloe has her blossoming romance with David and Victoria's eldest son Brooklyn to keep her busy. She and Brooklyn, 17, went public with their relationship earlier this year, and now regularly post loved-up snaps of each other on social media. 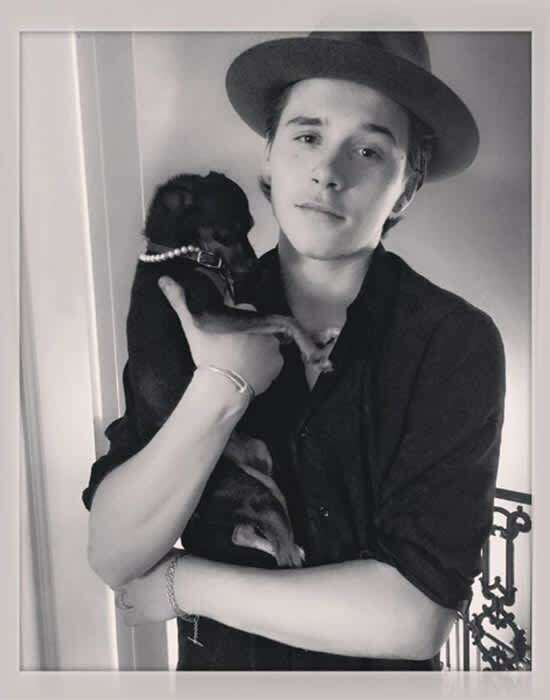 Earlier this week Chloe shared a photo of Brooklyn holding her adorable puppy, which she simply captioned: "These two", along with two love heart emojis. Discussing their relationship with WWD recently, Chloe admitted: "It's a little shocking, I think we were both taken a little aback about how many people actually cared. I think everyone is looking for that new 'It' couple and I think the thing with he and I is that we have real jobs and aspirations and I don't think you see that very much." What do you think of Chloe's exciting fashion news? Let us know in the comments box below.